Below you can view all the homes for sale in the Ryan Ranch subdivision located in Golden Colorado. 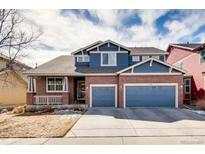 Listings in Ryan Ranch are updated daily from data we receive from the Denver multiple listing service. To learn more about any of these homes or to receive custom notifications when a new property is listed for sale in Ryan Ranch, give us a call at 720-580-6937. Make plans to see this wonderful home today. MLS#3117843. Hawley Realty. This true Colorado home is made complete with a 3 car garage and easy access to hiking and biking trails, shopping, restaurants/breweries, great schools, I-70, and public transportation. MLS#6205839. Real Estate of the Summit.